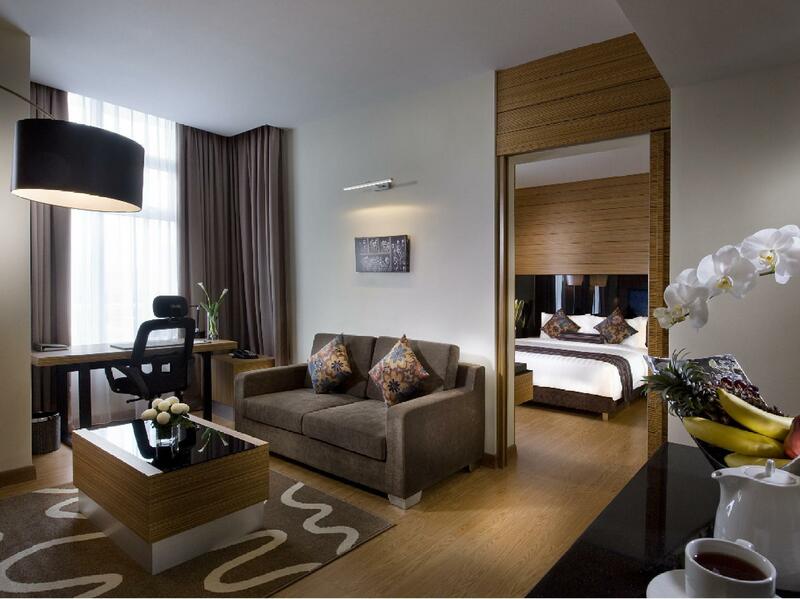 Heeft u een vraag voor Residences at Ramada Plaza KL? Ontworpen voor zowel zakelijke reizigers als toeristen, is het Residences at Ramada Plaza KL ideaal gelegen in KL Sentral; één van de meest populaire buurten van de stad. Het hotel ligt 5 km van het stadscentrum en de belangrijkste faciliteiten zijn dus goed bereikbaar. Dankzij de praktische locatie liggen alle belangrijke trekpleisters in de buurt van het hotel. Bij het Residences at Ramada Plaza KL staan de excellente dienstverlening en superieure faciliteiten garant voor een onvergetelijk verblijf. Het hotel heeft een uitgebreid aanbod aan services, inclusief 24-uur roomservice, wi-fi in openbare ruimtes, parkeerservice, parkeerplaats, roomservice. Aanvullend beschikken alle gastenkamers over een variëteit aan voorzieningen als handdoeken, houten-/parketvloer, aparte woonkamer, plasma tv, spiegel, om zelfs de meest veeleisende gast te tevreden te stellen. Daarnaast garanderen de talrijke recreatieve mogelijkheden dat u zich tijdens uw verblijf kunt vermaken in het hotel. 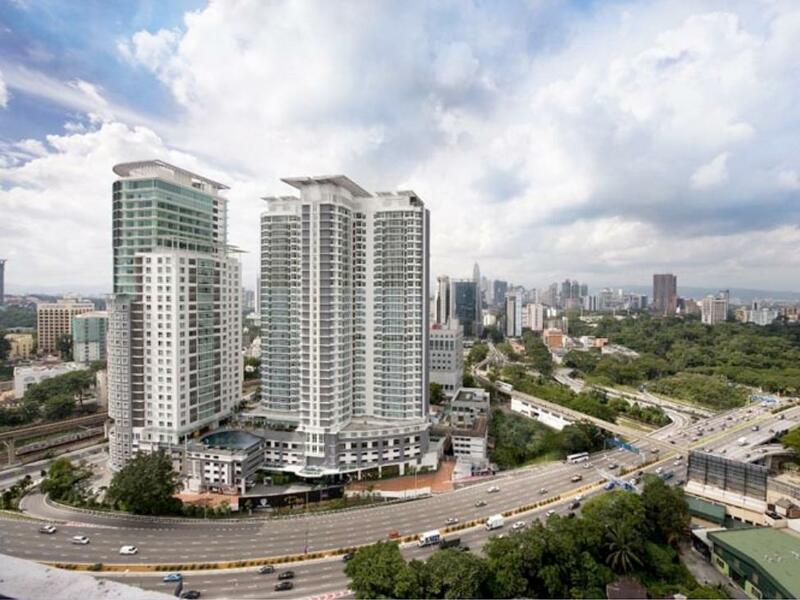 Geniet van ongeëvenaarde dienstverlening en de prestigieuze uitstraling van het Residences at Ramada Plaza KL. De waarborgsom is voor verscheidene redenen vereist bij het inchecken. Parkeergelegenheid is gratis beschikbaar. Gasten worden verzocht om deze aan te vragen via het Speciaal Verzoek tekstveld bij de boeking. The stay was perfect. Rooms were cleaned everyday. Staff were helpful and everything worked well in the room. We tried the breakfast once and it was well worth the money and a good variety of vegetarian food was available. I would recommend bed and breakfast option. There was no door to the bathroom which was not very conducive with a toddler. The price that you pay for the size of the room is really good. Was happy with the hotel as always. Location is good. Maybe a bigger signage would be better as Uber drivers are always lost with the location of the hotel. This hotel is really near KL central. If you want to be around this area this is a good place to stay. It's very accessible. The units are great, clean and well equipped. Service is Ok. I like the location and the rooms are of good size and very comfortable. I do recommend this hotel for small groups or families. We liked this hotel very much. The only concern we had was that it was not easy to find, even for taxi drivers. Even if we used Uber (GPS), the drivers would get lost. Also, Google Maps does not reflect it accurately. We stayed in a suite with our 4 and 5 year old sons. It was perfect to have a bit more space that just a room. The view was nice. The pool and kids pool had great views. We didnt eat there so not sure about the food. It was a great place to end our vacation. Close to the market and bird park and other places. 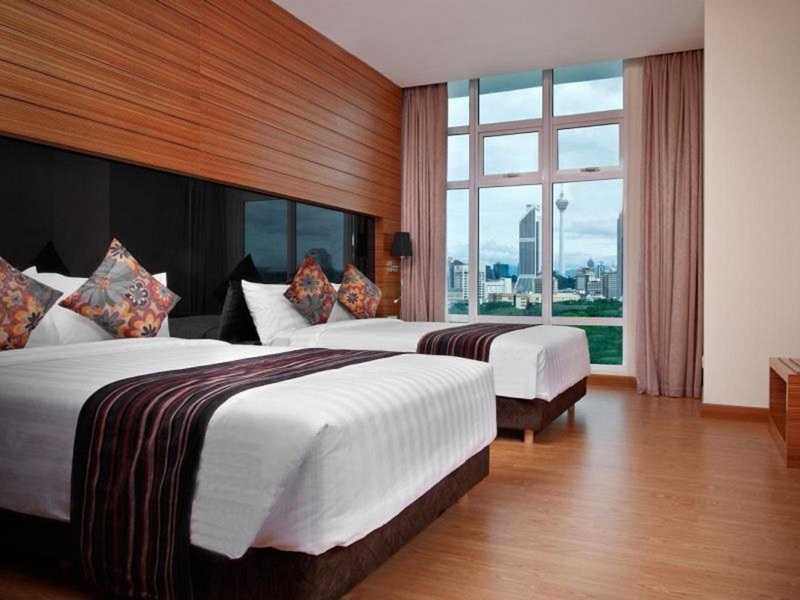 The room was really amazing, it was the best hotel I have ever stayed in KL for this price. The suite was big and clean with very nice furniture. Though the location is a bit tricky as it's in the middle of two metro stations, taxi was quite cheap. it was a pleasant stay. parking charged at 8rm for 4d3n. wld b gd if they provide complimentary parking and a microwave in d apartment. 3 queen beds and they are comfortable. housekeeper shld top up tissue paper. I was so lucky to get upgraded to a 2 bedroom (from 1 bedroom)!! !, the managers are so helpful and caring they will take care of all the details. almost feel guilty to receive such wonderful services for the price i Paid. Highly recommended!!! 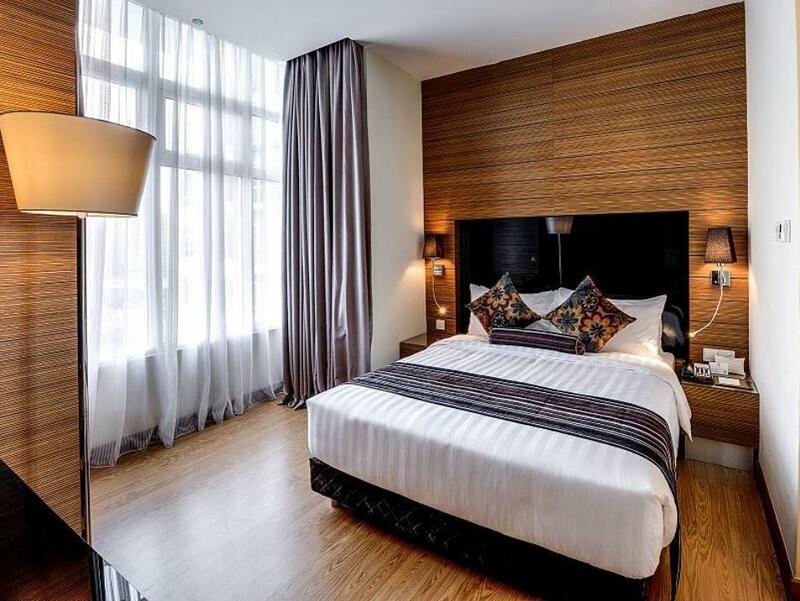 Great location walking distance to Nu Sentral and restaurants.The room was spacious great value for the fantastic rates offered and the staff were very friendly and helpful. We enjoyed our stay at the hotel but you need to change the batteries for the remote control. Unfortunately we couldn't watch any live tennis matches as the channels were not available. The lighting in the bedroom area was very dim but the showers were the best both the hand and the jungle rain! Very powerful jets of water to refresh and invigorate the tired body. We checked out early and kept our bags at the baggage counter. It was time for prayers when we collected our bags and the staff was very helpful and accomodating to direct us to the surau where we refreshed ourselves and performed our prayer. The surau was clean and spotless. We walked from our hotel for our lunch and dinner at the restaurants around Brickfields where there was plenty of choice and variety. I booked the hotel during promotion, with the same amount of money I would probably spend in other 4/5 star hotels to get the most standard room, I could get a one room suites here, which is so much more spacious vs the standard rooms in other hotels. The hotel is pretty near KL Sentral, this makes it easy for me to take the airport express to the airport. Stay was great (with regards to the pool, room, restaurants, & cleanliness)except for the service provided to me from the in-room dining. The person who picks up the phone is very reluctant to help & was rude and told me to wait as my order wasn't as important as others (when I've already called to remind about three times after waiting for more than an hour)!! This happened a few times!! The guys who made the delivery were very pleasant though! This hotel lacks professionalism, even at the reception. I feel like an outsider instead of warmth. The staff at the restaurants are excellent! awesome experience , stay for 1 night, and had a good stay. , their service is very very good, they will entertain u whenever u need staff are very polite and helpful . they treat u a highly respective. and the location is easy to find and very convenient location a few minutes walk to Kl sentral, near shops but need to walk a bit , just can say strategic location, easy to find cab, bus and of course clean and spacious room this is truly first class , we were treated like VIP's our entire stay , overall it was a good experience , definitely want to stay again here . The hotel feels abandoned during the one day of my stay. There wasn't anyone to tell me that the lobby was on the 13th floor due to network issues faced by the hotels. The staff were actually nice and friendly and explained the situation to me. But the access card problems were a chore, as I always need to go 13th floor to get someone to accompany me back to my room to access it. 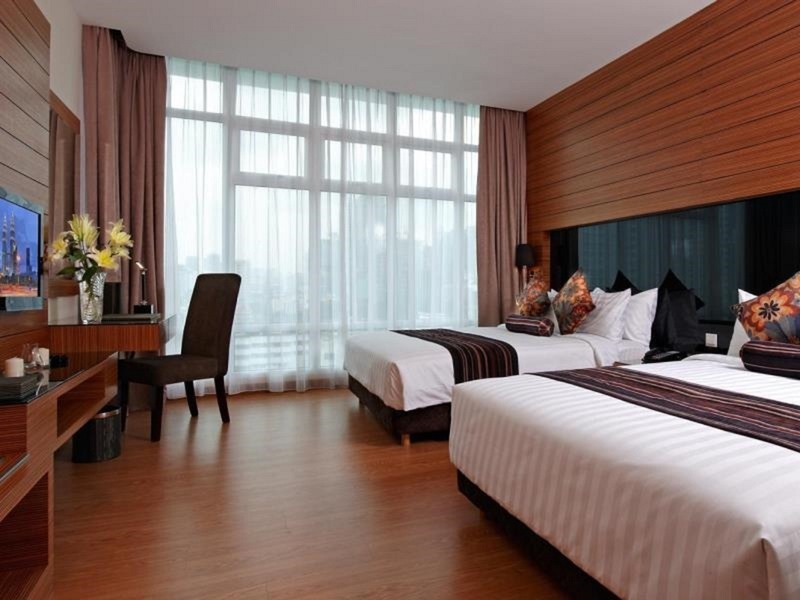 Venue is certainly not convenient to KL Sentral train station if you plan to stay here. Otherwise, rooms are pretty clean and good. during check in, we cannot find the lobby. No people inform us earlier that lobby had moved to 13th floor due to 1st floor power shortage. And we do not have the access card to use the lift to 13th floor. Upon checked in, the person in-charge told us that no internet access, tv and telephone line available. We are so disappointed that no one inform us earlier. Value for money and the hotel make us feel like home as we are family and can stay together. Hotel is clean and the staff is good.. Just that the bathroom at the other room need to have door as without the door my kids keep going in. I stay at 1 bedroom suite. very huge, comfortable, nice view. got two tv. one in living hall, and another inside the room. bathroom is quit pack and small. tip top cleanness. got news paper everyday hotel provide transportation from Kl sentral to the hotel. but need to prepare some prove to the driver, before the let you go inside the hotel van. if u r driving, waze will confius you. please us google map. got beautiful kitchen. perhaps hotel can upgrade by adding microwave. Location : Really bad jam if you miss this hotel and need to uturn in fromt of Kl sentral. avoid peak hours. breakfast : various choise. why noodle stall only got noodle and vege. where is the fishball/fishcake?? the beef a bit smelly. mightbe from yesterday food. others food is superb delicious. DEFINITELY WILL COME AGAIN!!! Staffs are rather friendly, but they can misunderstand you at times. Parking is a little inconvenient as the hotel is sharing the same parking area with another company, a little confusing. Didn't had the time to check out the amenities but the room is really nice. The doors to both rooms ( 2 bedroom suite ) can't be closed and locked, but at least the main door can. Many rooms are being renovated, no idea why though. WIFI is weak, yet the price that you pay for the size of the room is really good. Was happy with the hotel as always. Location is good but parking rate is excluded for hotel guest, need to pay by own for that, next the air cond of the room is noisy with the fan sound during sleep, hope they could improve on this maintenance. The reception service is good, accidentally left one of my small card inside the room, however able to collect back on the next day after follow up calling with reception and the room keeping services. Thanks for efficiency!